(UPDATE May 21, 2017): See photos of the University’s two top students and other Class of 2017 Commencement candids at bit.ly/FS-Commt17FBpix. 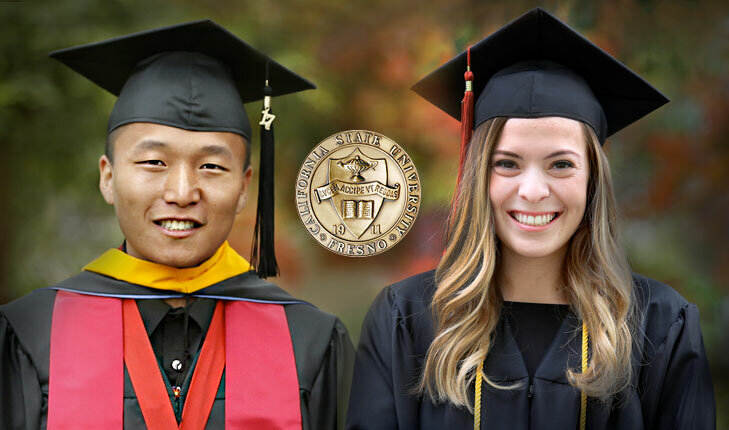 Touyee Thao of Fresno and Alexandra Gallo of Hollister were awarded the top University honors at Fresno State’s 106th Commencement today at the Save Mart Center. Thao and Gallo were chosen from a group of nine Deans’ Undergraduate Medalists and nine Deans Graduate Medalists. Thao, who earned a master’s in Plant Science, was selected as the University Graduate Medalist, Fresno State’s top honor for a graduate student. He completed his M.S. with a GPA of 4.0. 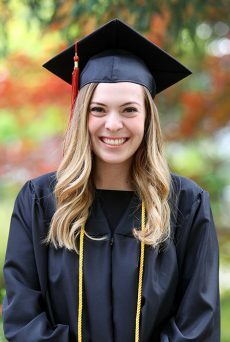 Gallo, who earned her bachelor’s degrees in Political Science and Communication, was selected as the President’s Medalist, the University’s top honor for an undergraduate student. She completed her B.A. with a GPA of 3.81. Growing up as one of 10 siblings from an immigrant family, Thao was fascinated by agriculture from an early age. His academic research on how to optimize irrigation scheduling is directly informed by the critical challenge of water management in California. This work is gaining widespread attention; Thao has presented at numerous local, national and international conferences. Beyond academics, Thao is also passionate about giving back. In addition to helping with college events and the Future Farmers of America, he volunteers an average of 12 hours a week in the Hmong community, serving as a mentor to youth. 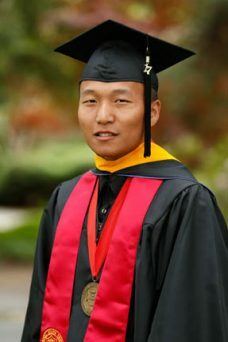 “My next goal is to share my agricultural knowledge gained at Fresno State with the many Southeast Asian farmers currently seeking assistance to improve their soil and water conservation practices,” he said. Difficult family circumstances inspired Gallo, a first generation college student, to obtain a degree and help others. Gallo seized opportunities to serve and engage during her time at Fresno State. She studied abroad, was elected to student government, served as an ambassador for the Richter Center for Community Engagement and Service-Learning, was as a Maddy intern with Congressman Jim Costa and worked with the League of Woman Voters. She’s a three time winner of the President’s Volunteer Service Award for completing 200 hours of service each year at organizations like the Every Neighborhood Partnership and the Ronald McDonald House. She also planned a camp for children with parents battling cancer. “The College of Social Science has taught me how to be a critical thinker, and how to apply leadership and theories to governmental agencies, jobs and community service work,” she said. After graduation, Gallo will intern in Washington, D.C., with Congressman Costa before applying to law school.